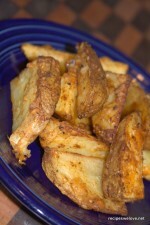 This is a great meal or side dish and is FULL of flavor. 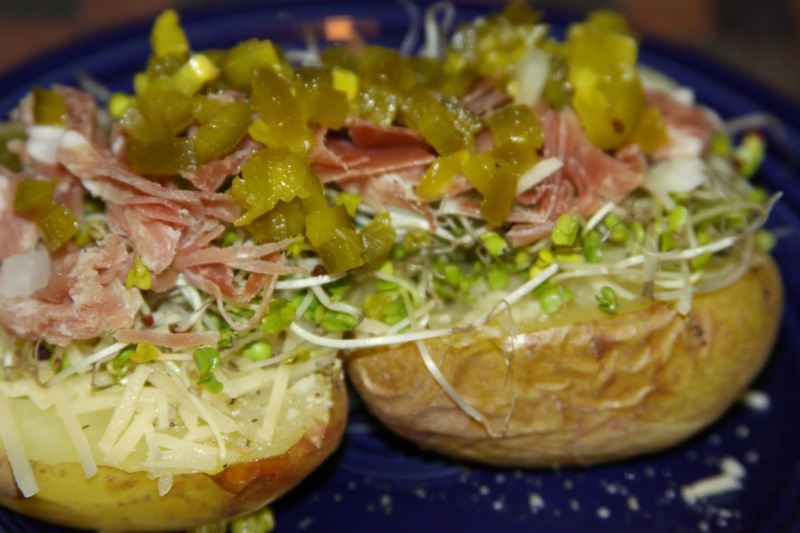 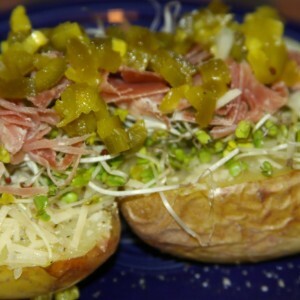 Simply take a baked potato sprinkle a little Parmesan cheese and salt and pepper. 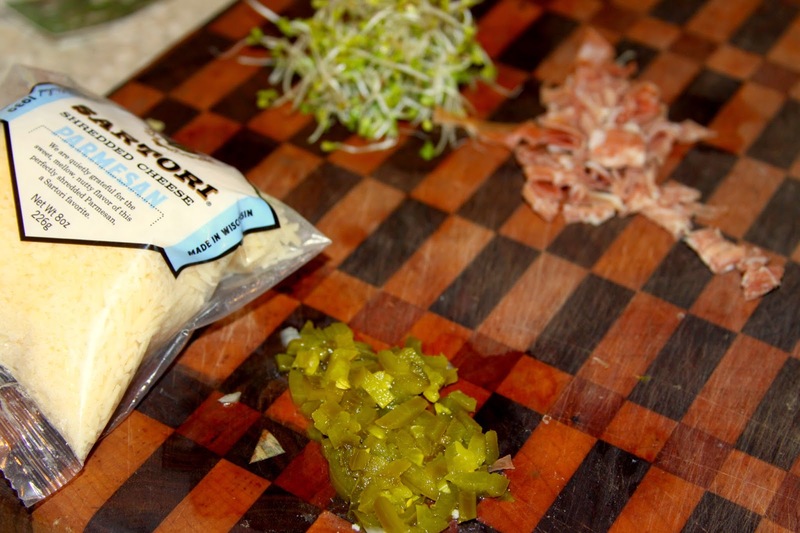 Next layer on sprouts of your choice these are broccoli micro greens (which are PACKED with nutrients) chopped prosciutto, and diced jalapeno peppers.